Preheat oven to 350 degrees. Whisk together honey, brown sugar, flour, flax, cinnamon, baking soda, and salt in a large bowl. Add coconut, dried fruit, pineapple, apple, carrots and stir to combine. In another bowl, whisk together eggs, vegetable oil, and vanilla. Pour into bowl with dry ingredients and mix well. Spoon the batter into muffin tins coated with non-stick spay or lined with muffin papers. Bake for about 25 minutes for full size muffins (12-15 for mini muffins) or until toothpick comes out clean. 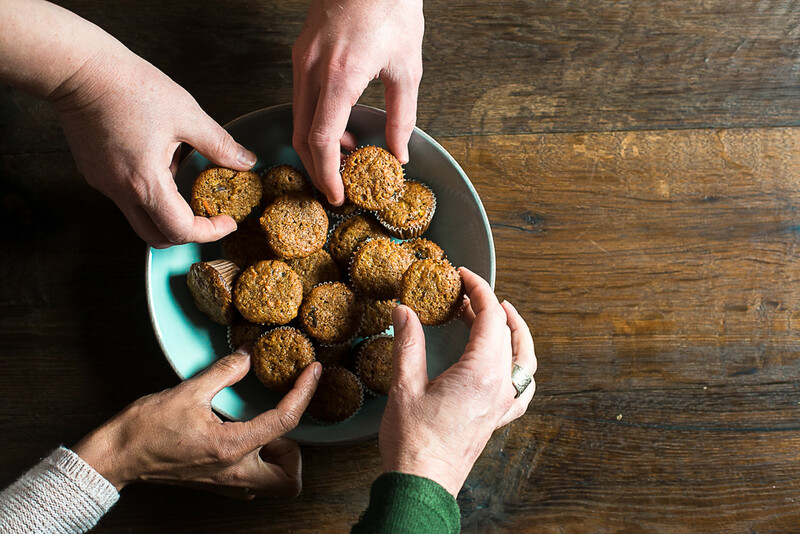 Muffins are a great finger food for babies because you can pack so many flavors and nutrients into one bite.. Cut into small pieces or consider making into mini-muffins to make them even more fun.